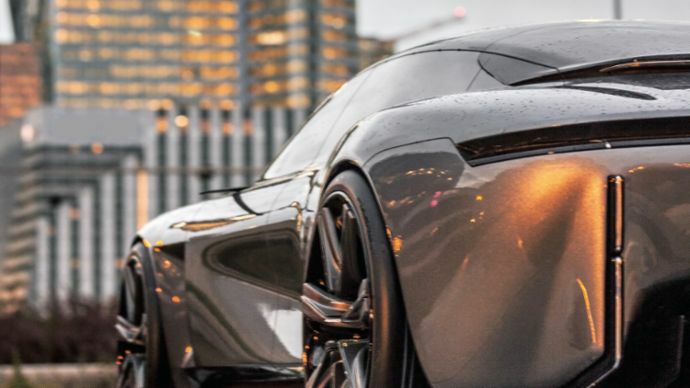 Automotive designers usually look four years down the road. 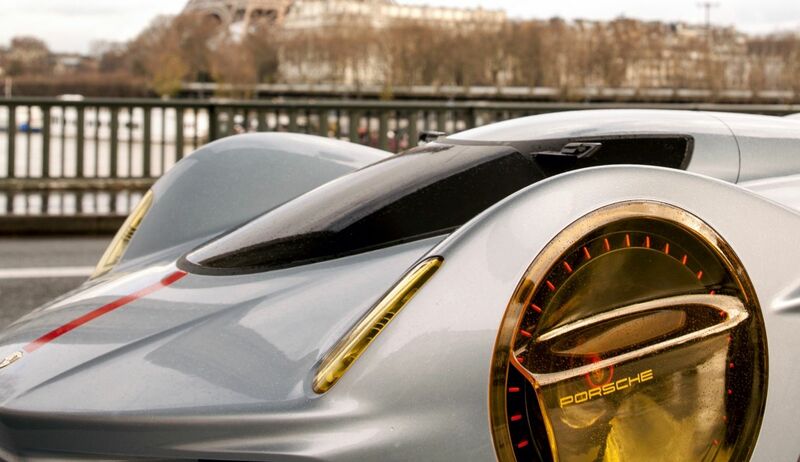 For Christophorus, Style Porsche has extended this time frame even further. 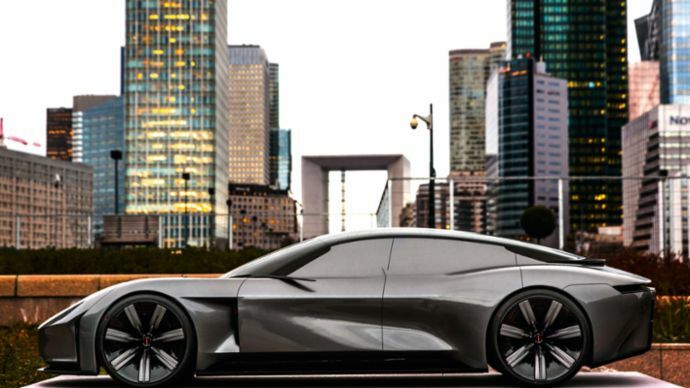 We present the future of the sports car with models on a scale of 1:3—seen here for the first time and set in Paris by art photographer Eric Otto. Light-colored front flaps are major elements of both the visuals and aerodynamics. 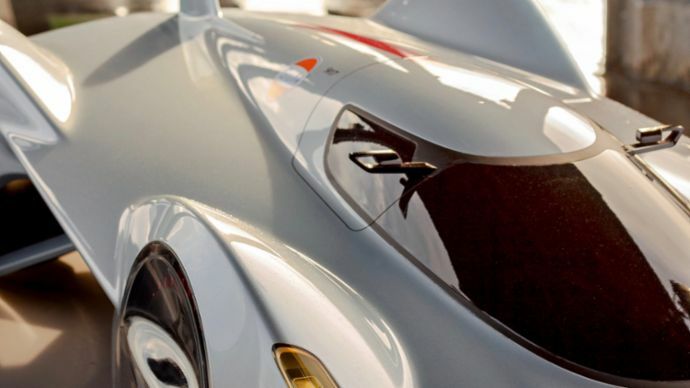 The fanlike wheels add emphasis; the shape of the hood and the coloring are an homage to Porsche racing history. The model Opulence reflects the light in the district of La Défense. 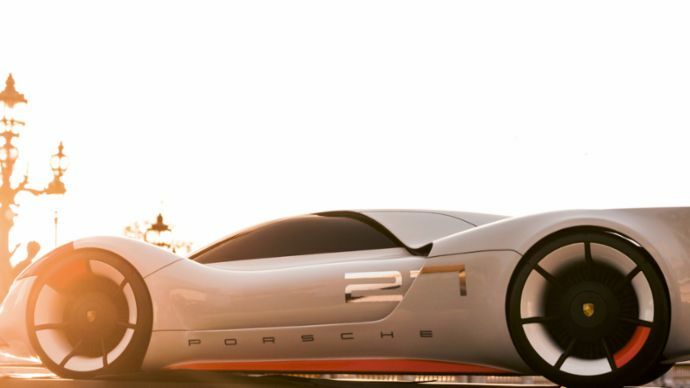 Prominent, filled-out wheel arches, clear-cut lines, and a vitality that is apparent even at a standstill—Style Porsche defines the sedan of tomorrow. 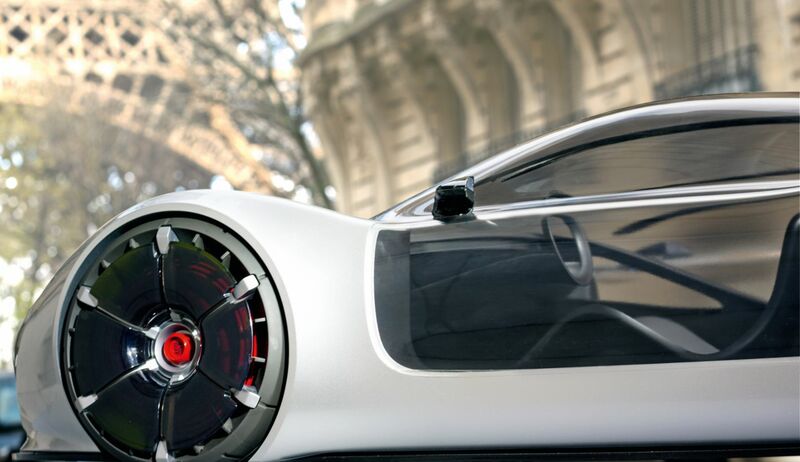 A flying machine for the streets of Paris. 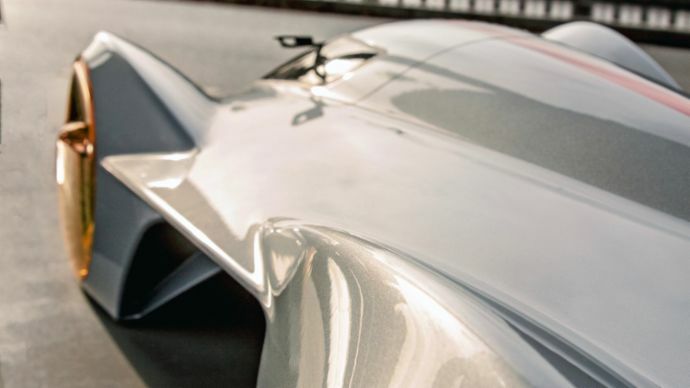 The car rises between its front legs and rear axle, displaying quasi-bionic hips—and a suitably slender waist for France. 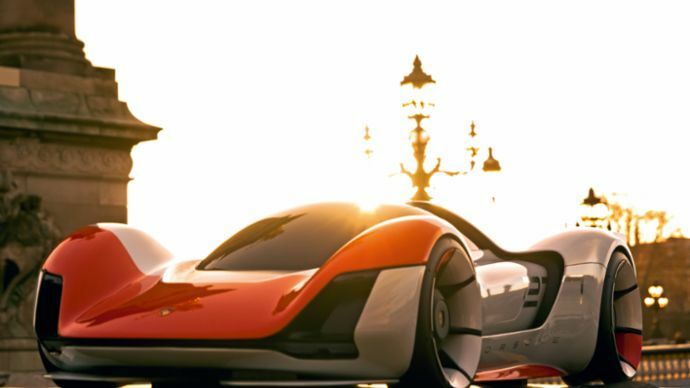 Love and beauty come together in this city—the perfect backdrop for Porsche. Perusal at Place Charles de Gaulle. 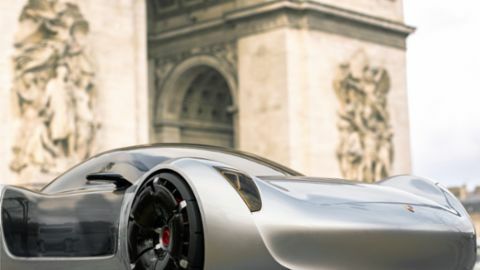 The Porsche designers’ idea of connecting the car’s interior more closely to its urban surroundings is brought to fruition in an ideal setting: on the streets along the Seine. A native of the Alsace region, Otto usually photographs model cars on a scale of 1:43. For over a decade, the forty-seven-year-old has been traveling the world with his miniature companions and presenting them in New York, London, and Singapore—creating images with an air of mystery as well as aesthetic appeal. 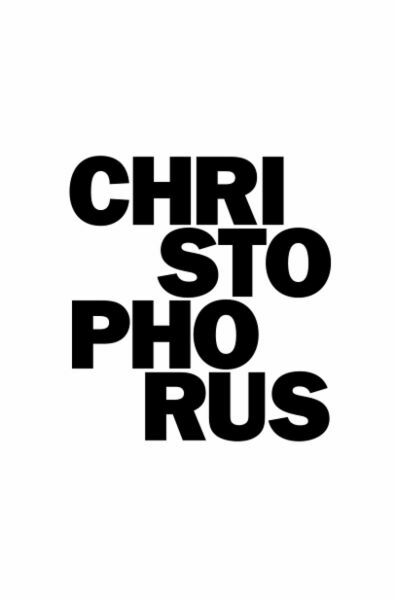 For Christophorus, he expanded his perspective and produced artistic photographs of the Style Porsche design models on a scale of 1:3.